Trevor J. 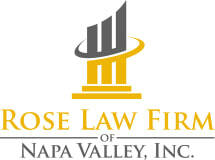 Rose specializes in Estate Planning and Administration, Business, and Real Estate/Title Transactions. He currently sits on the board of directors for the Napa County Hispanic Chamber of Commerce as Vice-President and the Young Lawyers Division of the Napa County Bar Association as Immediate Past President. Trevor was born and raised in Napa, California, where his family first arrived over 100 years ago. He has been practicing law in California since 2011 and plans to continue his family's long-running presence in the Napa Valley, a place that he is proud to call home, and where he can provide seamless, continuous estate planning services to the present generation and their heirs. In 2006, Trevor became fully bilingual after spending a year studying Spanish Language, Linguistics and Literature at the University of Barcelona in Spain. He then graduated Phi Beta Kappa with high honors from UC Berkeley in 2007 with bachelor's degrees in both Spanish and music, where he also made the Dean’s Honor List on four separate occasions. After deciding that he wanted to pursue a career as a lawyer, Trevor completed his legal studies and obtained his J.D. from UC Hastings in 2011, where he was a three-time winner of the CALI Excellence for the Future Award, a three-time winner of Witkin Awards for Academic Excellence and also wrote an article for the Hastings Race and Poverty Law Journal: "The DUI Frenzy and its Ripple Effect on the Latino Community in Napa County." At UC Hastings, Trevor acquired valuable legal experience while spending time as a Certified Legal Intern at both the San Francisco District Attorney´s Office and the Napa County Public Defender´s Office. In order to obtain experience handling civil matters, Trevor spent several months providing pro bono legal services at Legal Aid of Napa Valley in 2011.